Like all things in reality, Lukasz Fabianski’s time at Arsenal has come to an end. After making 78 appearances, conceding 81 goals and notching up 25 clean sheets in seven seasons, his status as second fiddle to Manuel Almunia and afterwards his compatriot, Wojciech Szczesny, has made him jump ship to Swansea City with the hope of playing regular football being his priority. It was glaring that he was leaving on borrowed time and when the club tabled a contract extension for him, I was very sure that he wasn’t going to sign the new deal. With the Pole’s time at Arsenal coming to an end, Gooner Daily has decided to relive those moments that made him stand out.. for the good reasons and the bad. Fabianski’s career at Arsenal had many low points and this convinced a lot of fans that he wasn’t cut out to make the No. 1 spot his. In no specific order, here are the games Fabianski was truly a “Flappy Handski”. Arsenal scored early on through a RVP near post strike from Bacary Sagna’s flick but Fabianski was directly involved in both goals conceded. For the first, he came for a corner and missed leaving David Dunn for a simple tap-in once Keith Andrews had returned the ball back across the six yard line. He conceded the second goal from another corner when his goalkeeping misjudgment allowed Chris Samba to head the ball in at point-blank range. This is one game many Arsenal fans wouldn’t want to remember. Despite going two goals up, the Gunners somehow connived to throw the game away, but like the rest of the team, Fabianski played his own part in the 89th minute when he unfathomably spilled a routine catch from a corner on Titus Bramble’s head and the ball went in. Shortly before Andy Carroll grabbed all the headlines for being the British record transfer signing, he scored the only goal at the Emirates in a game marred by Laurent Koscielny’s red card. Fabianski allowed the big striker to leap higher than him to nod the ball home. The World’s Best Released Striker, Nicklas Bendtner, would be famously remembered for netting a hat-trick in the 5-0 drubbing of FC Porto at the Emirates but the proceedings in the first leg at Portugal left the fans bewildered and perplexed. 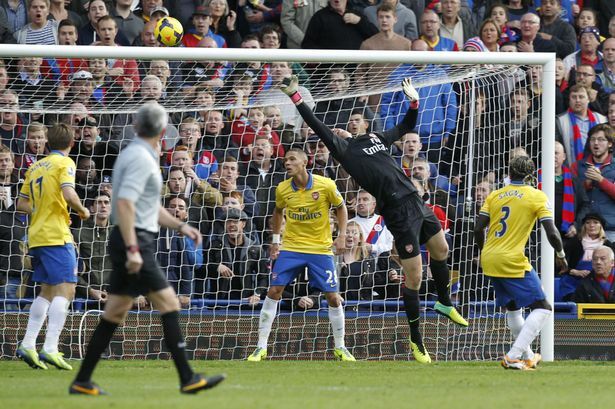 Fabianski inexplicably parried a simple cross into his net when he was under no pressure whatsoever. If that was bad enough, the second goal made everyone stunned. 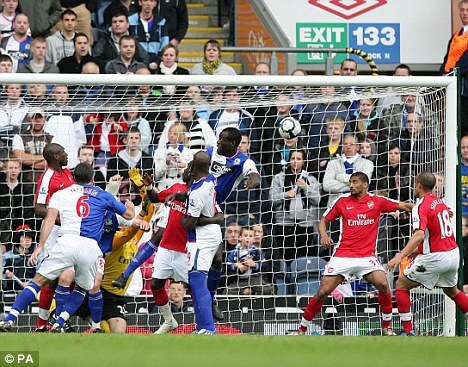 He grabbed the ball from Sol Campbell and gave it to Radamel Falcao that wasted no time in side-footing the ball home. Chelsea under Guus Hiddink went on to win the FA Cup final against David Moyes’ Everton but in the semis at Wembley, Arsenal were the opposition that stood in their way. 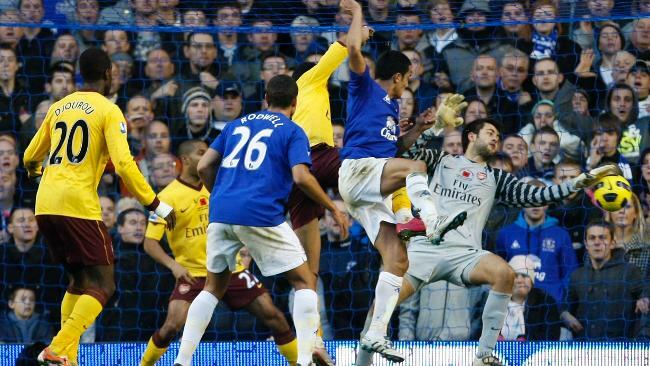 Theo Walcott had given the Gunners the lead before Florent Malouda equalized for the Blues. Late on, Didier Drogba was sent clean on goal and with Mikael Silvestre not having the pace to catch up with the Ivorian, Fabianski raced off his line and out of his box like a headless bull pretending to be a sweeper and was shimmed by the big man before he fired the ball to an unguarded net. Lukasz Fabianski was an able deputy for the Gunners and he performed admirably in some games. Here’s Gooner Daily’s top five. With Almunia messing up against West Brom, Wenger handed the goalkeeping baton to Fabianski and he didn’t disappoint. One of his finest moments that campaign was his superb save from Cleo’s penalty which would have brought Partizan back into the game. The scream he let out was probably heard in the Moon. Arsenal got a rare opener from Bacary Sagna before Cesc Fabregas scored what proved to be the match winner but the undisputed Man of the Match was Fabianski, that made a lot of saves to put Everton at bay. Undoubtedly Fabianski’s best outing in his Arsenal career. Marouane Chamakh socred at the first and last minute to hand Arsenal all three points but Fabianski was the hero of the night especially when he managed to prevent a draw with a last-minute save, and then initiating a counter-attack with a long throw of the ball that led to Chamakh’s match clincher. Arsenal got a rare victory over Manchester City with goals from Samir Nasri, Alex Song and Nicklas Bendtner but Fabianski was very dominant and made some top drawer saves. With Fabianski’s status at the domestic Cup keeper confirmed, he played all the games in the Gunners run to the final but he was the deciding factor was the game was sent to the lottery of a penalty shootout. In the 2013/14 season, Arsenal’s defense was much-improved and this was due to the fact that Arsene Wenger got his first-choice pairing right and he stuck with them till injuries or suspension took its toll on the defensive rearguard. 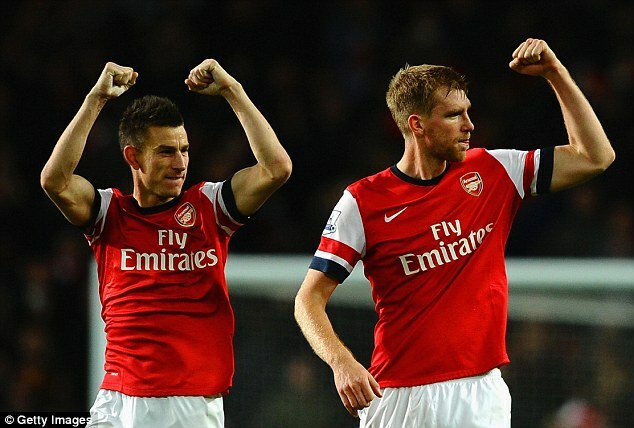 The center back pairing of Per Mertesacker and Laurent Koscielny were ever-present for the club, while club captain, Thomas Vermaelen, struggled with injuries, loss of form and lack of game time. In the full back positions, Kieran Gibbs and Bacary Sagna were automatic starters whenever they were fit while their deputies, Nacho Monreal and Carl Jenkinson, were restricted to a handful of appearances. This is the second installment of a four-post series focused on Arsenal’s performances in the 2012/13 season. I’ve already shared my views on the performances of the goalkeepers but today’s post is focused on Arsenal’s defensive rearguard. In recent times, Bacary Sagna has been marred by long-term injuries that has taken its toll on his career. Suffering two fractures on the same leg must have been a horrific experience but as we all know, football isn’t really a forgiving sport. With Carl Jenkinson deputizing admirably in Sagna’s absence, many wondered if the Bac Man would replicate the form that won him a place in the 2008 PFA Team of the Year. 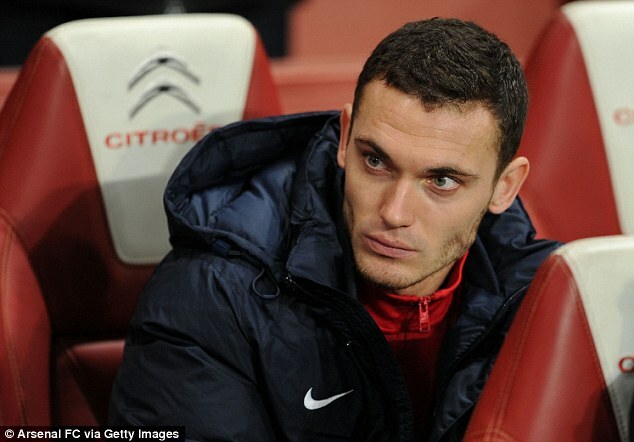 At the start of the campaign, injuries to Vermaelen and Koscielny made Sagna start as a center back. Wenger gad featured him in that position at preseason so it was no surprise. Sagna featured heavily for the Gunners and performed admirably in his defensive duties but in attack, he really failed to impress. The back passes were endless and there were times he looked clueless on what to do with the ball. Then there was the niggling issue of his contract that was a thorn in Arsenal’s flesh throughout the season and finally, he jumped ship to Manchester City on a bumper deal that was too good for him to refuse. Nonetheless, it was a fair campaign by his standards and the fans are looking to the future. For the first time in Gibbs’ fledgling Arsenal career, he managed to amass his highest amount of games for the club. He even scored a lovely goal in the Champions League qualifier against Fenerbahce when he latched on to Theo Walcott’s cross to score Arsenal’s first goal of the qualifying campaign. Unlike Sagna, Gibbs was very inventive when he was in the final third and his recovery levels were top-notch this season. However, it would be very hard to forget Andre Marriner’s moment of madness in Stamford Bridge when he brandished Gibbs a red card for a sin Alex Oxlade-Chamberlain committed. It’s unfortunate to know that Gibbs’ good form for Arsenal wasn’t enough for him to be called up by Roy Hodgson and in fairness to the England manager, Leighton Baines and Luke Shaw deserved to be on the plane to Brazil. With Koscielny and Vermaelen injured, Sagna was drafted to the center back position, allowing Jenkinson to get a run-out in the first team. Even when Koscielny returned to the first team, Jenkinson retained his place but as the weeks progressed the young Englishman resumed his bench warming duties. His second assist of the season was a lovely pin-point cross to the World’s Best Released Striker, Nicklas Bendtner, that headed the ball home against Hull and on the final matchday of the season, Jenkinson scored his first goal for the club. A personal high for the young Arsenal fan. In Monreal’s first full season at the club, he proved that he was nowhere near Gibbs with his performances. He managed to create a good assist for Santi Cazorla when the Gunners visited Villa Park but Monreal played like a liability in some games, with his poorest performance coming up against Manchester City at the Etihad. However, Monreal would be remembered for scoring the winning penalty in the Capital One Cup third round clash against West Brom. I can vividly remember when Vermaelen joined the club in 2009 and he slammed in six goals in his debut campaign, rising to an indispensable status. With Robin van Persie leaving the club, Vermaelen was handed the captain’s armband and it ensured that he was a regular starter for the club and after a series of below-par performances, Arsene Wenger paired Laurent Koscielny with Per Mertesacker and they never looked back ever since. Last season, the good form of both players relegated the captain to the bench for extended periods and he also had some injury demons to contend with. It was a welcome sight seeing the captain lift the FA Cup but one must wonder if he’s ready to spend another campaign on the bench next season. It wasn’t all peachy and creamy for Koscielny at the start of the season when he conceded a penalty and got sent off against Aston Villa. In the Champions League qualifier against Fenerbahce, Pierre Webo kicked his face leaving him concussed and he missed a couple of games to injury. In his return, Koscielny and Mertesacker built on the telepathic understanding they had forged last season and the clean sheets started piling up for the Gunners, particularly at the Emirates. Koscielny also got in on the scoring act with goals against Sunderland and Newcastle but his most important goal was the equalizer for the Gunners in the FA Cup final. It’s also heartwarming to know that he has signed a long term deal with the club. There was a reason Mertesacker played the most games for Arsenal this season. He is an exceptional footballer, a leader, and most importantly, a defensive colossus. His pairing with Koscielny has been heralded as the best pairing in the League and with 16 clean sheets to their name, it’s not hard to see why. In the absences of Vermaelen and Arteta, Mertesacker also wore the captain’s armband and his performance against Dortmund in his native Germany was one of the best performances I’ve seen from a defender in a game. Mertesacker would have been a pantomime villain if the penalty he conceded against Wigan turned out to be the deciding factor of the game but he showed off great determination to be on the right end of the pitch to head the ball home, sending the game into extra time. I can’t wait to see the BFG next season. So there you have it, the second of four posts focused on different playing positions in the team. My take on the midfield comes up next. Many Arsenal fans can say that defending improved considerably in the 2013/14 season and while the defensive pairing of Per Mertesacker and Laurent Koscielny did their bit in the heart of the defense, the Gunners last line of defense, the custodians between the sticks, played in vital role in helping their team’s cause this season. Over the course of the 2013/14 season, Arsene Wenger clearly favored Wojciech Szczesny for his Premier League and Champions League games while Lukasz Fabianski was the man for the domestic Cup competitions. Like last season, Gooner Daily has decided to launch four articles that would be focused on Arsenal’s performances in the 2013/14 campaign but today’s post is entirely focused on Arsenal’s goalkeepers. After keeping 13 clean sheets from 33 appearances in the 2012/13 season, everybody expected great things from Szczesny but his season started on a shaky note in Arsenal’s opening day 3-1 reverse to Aston Villa. He conceded a penalty after a blatant foul on Gabby Agbonlahor and a bad day almost went worse when he was found in No Man’s Land but Westwood failed to capitalize on his error. However, he responded to that gaffe by keeping three clean sheets in his next four games. After conceding a couple of goals in October, Szczesny went on to have a great November as he conceded just one goal in six matches. There was a moment of concern for the goalie at Old Trafford when he clashed heads with Phil Jones but the manager allowed him to complete the game. In the previous week, Andre Villas-Boas came under heavy criticism for allowing Hugo Lloris finish the game when he was clearly concussed. The club rewarded his fine form with a long-term contract and there was even time for the goalie to keep his 50th clean sheet in Arsenal’s 2-0 win over Olympique Marseille. Szczesny’s floodgates opened at the Etihad Stadium as he shipped in six goals but he responded admirably with four clean sheets in his next six games. The goalie ended 2013 with a clean sheet and began 2014 with two clean sheets but when he and his teammates arrived at Anfield, they were in for a massive drubbing in the hands of Liverpool. Szczesny reached his nadir when he was sent off against Bayern Munich in the First Knockout Round fixture but things went really sour for the goalie when Chelsea shipped in six goals past him. At the tail end of the campaign, Szczesny kept four more clean sheets in the Premier League that tied him with Petr Cech and many thought that with the Czech goalie out for the rest of the season with a shoulder injury, the Pole would usurp him for the Golden Gloves. On the final matchday of the season, I’m pretty sure that Szczesny was surprised to see himself on the bench as Fabianski kept the clean sheet that was probably meant for him. Notwithstanding, sealing 21 clean sheets in 46 games was an outstanding achievement by Arsenal’s young goalie. I still believe that his best years are ahead of him. With each splendid Szczesny performance, I’m pretty sure that Fabianski would have let in fits of frustration because he would have liked to be out there making the saves that would make the fans sing his songs aloud. Wenger afforded him that opportunity in the Cup competitions and it was something he grabbed with both hands. With Arsneal knocked out early from the Capital One Cup, Fabianski had to wait till the turn of the New Year to feature in the FA Cup third round against Tottenham where he kept his first clean sheet of the season. Another clean sheet was yielded in the FA Cup fourth round against Coventry but Fabianski went into Arsenal folklore this season after his penalty-saving heroics against Wigan. Wenger had stated that he was going to play Fabianski in the FA Cup final despite the fact that his footballing future was elsewhere. In the manager’s bid to get the goalie fully fit for the season, he gave him a surprise starting place ahead of Szczesny in the final game of the season, which saw Fabianski keep a clean sheet in the only league match he played. Fabianski was blameless in the goals he conceded at Wembley but late on he inexplicably chose to charge down at Sone Aluko and the Nigerian left him for dead but Kieran Gibbs was on hand to clear the ball off the line. Even though, Fabianski is set to leave the Emirates, at least, he’d have the mindset that he left the club as an FA Cup champion and he can congratulate himself for the role he played on the Gunners road to glory. In this life, I’ve seen Wenger make some awesome signings as well as the puzzling Park Chu Young-Mikael Silvestre-Amaury Bischoff-esque signings but one must wonder how Viviano flew all the way from Italy to waste an entire year doing nothing but basking the London sunshine. 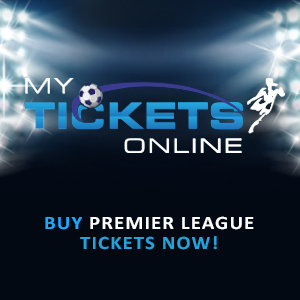 In Wenger’s defense, he probably thought about the 2010/11 campaign when Fabianski suffered a season-ending shoulder injury and Szczesny ruptured his finger tendon but with Manuel Almunia putting up more erratic performances, Arsenal had to coax Mad Jens Lehmann from retirement to play against Blackpool. Viviano was certainly a contingency plan in the wake of an injury crisis, but unfortunately, he was never given the chance to prove himself to the Emirates faithful. So there you have it, the first of four posts focused on different playing positions in the team. My take on the defense comes up next.